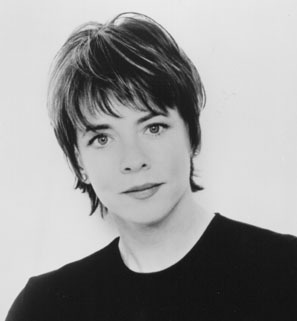 Stockard Channing is an American actress who usually plays loopy, smart, headstrong, or eccentric characters. Born Susan Antonia Williams Stockard into an upper-class New York family, she traveled widely as a child, and was educated in expensive private schools. She always wanted to be an actress, and has said she doesn't think she could have been successful in any other field. Her stage name is an amalgam of her maiden and married names. Channing was an accomplished stage performer and a regular on Sesame Street for several years before making her big screen debut, with one line in George C. Scott's creepy The Hospital. She first came to national fame playing a homely college girl in a 1973 comedy co-written by Joan Rivers, The Girl Most Likely To... She was 33 when she played her most famous role, as the slutty high school girl in Grease with John Travolta and Olivia Newton-John. She also played Ouisa Kittredge in Six Degrees of Separation, delivering the "profound" speech about how interconnected humanity is. More recently, she has played First Lady Abigail Bartlet on the overwrought The West Wing. Channing is a vocal, long-time supporter of abortion rights.